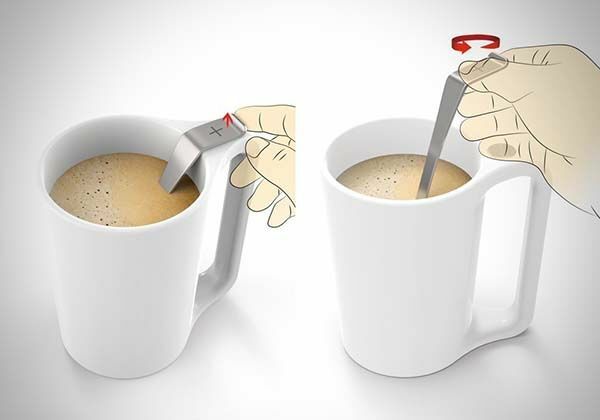 With a built-in magnet the Mug+ magnetic mug keeps its spoon or tea infuser in place when you enjoy your beverage. Like the design? Let’s keep checking. 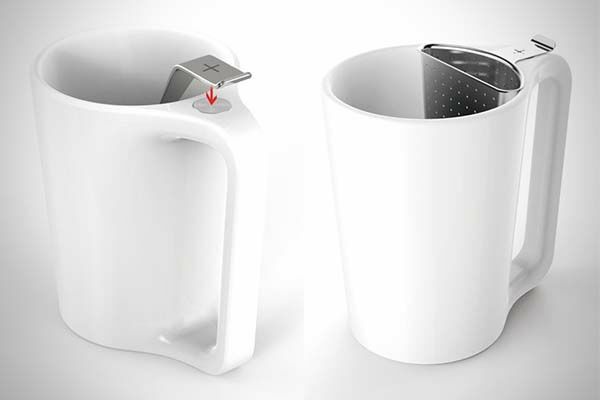 Wei Taiming, a Chinese designer came up with Mug Plus, a Concept modular mug that can bring more convenience with its built-in magnet. As we can see from the images, the mug shows off an elegant, minimalistic appearance design with its solid white exterior and smooth contours. The seamless handle lets you comfortably hold it in your hand for a drink. 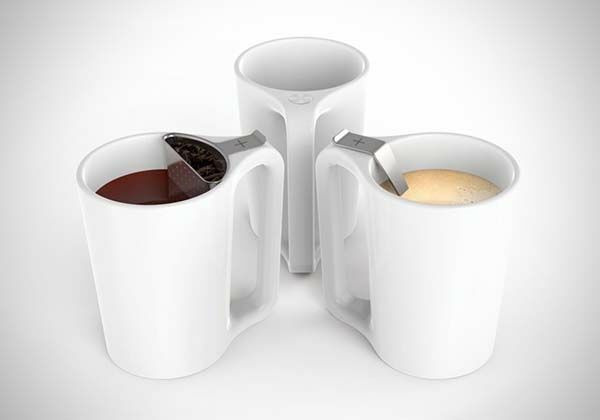 More importantly, the modular mug features a small magnet embedded near the top of its handle, which’s designed to allow a custom stainless spoon or a custom stainless steel tea infuser to firmly sit against the inside of the mug, do you enjoy your favorite beverage without worrying about the spoon flipping your nose. Unfortunately, the Mug+ is a design concept until now. If you want a few available options, you may like to check the thermo mug with coffee dripper and more stuff by following tags.